Deal strengthens and fast tracks MSA Safety new product development efforts in the area of laser-based, open-path gas detection - expanding and enhancing MSA Safety technology offerings in the global market for fixed gas and flame detection systems. 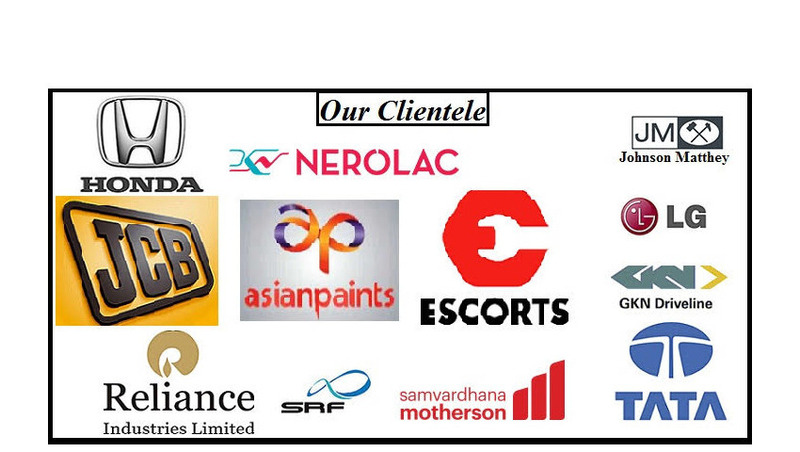 We are dealing MSA Safety in Delhi (NCR), all cities of Uttar Pradesh like Ghaziabad, Noida, Greater Noida, Gautam Budh Nagar, Meerut, Moradadbad, Bareilly, Aligarh, Agra, Bulandshahar, Kanpur, Lucknow, Unnao, Banaras / Varansasi, Allahabad, Lucknow, Gorakhpur, cities of Haryana, Faridabad, Bahadurgarh, Gurgaon, Ambala, Sonipat, Panipat, Cities of Uttrakhand / Uttranchal like Dehradun, Roorkee, Haridwar, Rudarpur, Ramnagar, Haldwani, Nanital, Mussorie, Cities of Bihar like, Patna, Darbanga, Bhagalpur, Begusarai, Motihari, Siwan, Gaya, Mokama, Jamalpur, Purnia, cities of Jharkhand like, Ranchi, Ramgarh, Jamshedpur / TATA nagar, Dhanbad, Bokaro, Deoghar, Medininagar, Phusro, Dumkar, Hazaribagh, Gumla, Gomia, Cities of Rajasthan like, Jaipur, Alwar, Bhiwadi, Neemrana, Udaipur, Jaisalmer, Cities of Punjab like, Chandigarh, Ludhiyana, Amritsar, Ambala, Cities of Madhya Pradesh like, Gwalior, Indore, Bhopal, Etc. Having a definite quality management system, we are regarded as the noteworthy manufacturer of high quality MSA Altair 5x Multiple Gas Detector. Ideal for conYned space applications or when working alone, exclusive MotionAlert feature, when enabled, activates a “man down” alarm if no motion is detected for 30 seconds. Exclusive Instant Alert feature allows users to manually activate an audible alarm to alert those nearby to potentially dangerous situations. Using a portable gas detector should never be a challenge. The intuitive menu-driven display and three large, tactile buttons make operation easy – even while wearing gloves. Numerous customization options Yt many budgets and experience levels, from personal monitoring and conYned space pre-entry checks to industrial hygiene use. MSA’s miniature catalytic combustion sensors will reliably detect up to 100% LEL of combustible gases, including many solvents. Our IR sensors deliver stable readings in environments with challenging temperature and humidity conditions. MSA’s high-performing electrochemical duo-tox hydrogen sulYde/carbon monoxide sensor oXers an additional sensing option. Many other toxic sensor choices are available, including ammonia, chlorine, hydrogen cyanide, phosphine, and sulfur dioxide. The MSA Galaxy® Automated Test System provides for easy calibration and record keeping, while MSA Link™ Data Transfer Software quickly transfers stored information to a connected PC. 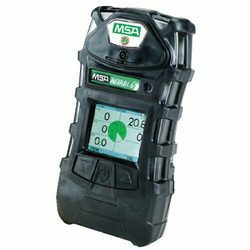 The MSA Altair 4XR Multiple Gas Detector is a reliable multi-gas detector that measures O2, H2S, CO and combustible gas. Besides being one of the most compact multi-gas detectors available, it has an extremely durable rubberized housing and is very easy to use. The ALTAIR 4XR is available with the option of Motion Alert – a unique feature in the world of portable gas detection. The detector’s alarm is triggered if the user remains motionless, alerting those nearby. The Instant Alert alarm allows the user to manually activate the detector’s alarm system. It is a standard feature across the ALTAIR 4XR range. ALTAIR 4XR has an optional Motion Alert feature in case the user is overcome and requires assistance. When enabled, Motion Alert will activate a pre-alarm if ALTAIR 4 does not detect motion for 30 sec. If there is no motion detected after a further 10 seconds the detector goes into Motion Alert alarm. This could prove to be invaluable in potentially life threatening situations. This unique feature gives users the ability to manually activate an alarm to attract the attention of anyone nearby. In situations where voice communication is difficult [e.g. when wearing masks] this standard feature further increases piece of mind for the user. ALTAIR 4 is IP68 rated and is designed to withstand a 3 m drop test. The extra thick rubberised housing provides protection from accidental drops. Its tight seal ensures simple yet effective resistance to water and dust ingress. ALTAIR 4 will perform reliably even in the harshest industrial environments. The ALTAIR 4 display is straightforward and extremely easy to read. The large numeric display allows users to view gas concentration, alarm conditions, battery status, set points and peak reading with accuracy and confidence. The rechargeable lithium polymer battery provides up to 16 hours of continuous operation and outperforms other battery technologies in extreme environmental conditions. The ALTAIR 4 allows for a simple bump check, which will be recorded and displayed on the screen as a checkmark for 24 hours. Either insert the ALTAIR 4 into the QuickCheck or attach the calibration cap to carry out a bump check. The triple alarm system fitted to the ALTAIR 4 effectively cautions the user to any danger. Super-bright LEDs on the detector’s top and bottom ensure alarms are visible from all angles. 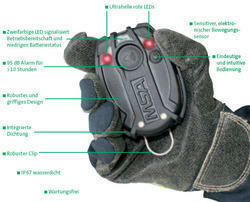 The ALTAIR 4 also has a confidence safe LED that flashes every 15 seconds to indicate the detector is working properly. The audible alarm is typically measured at 95 dB at 30 cm and a strong vibrating alarm is also a standard feature. A highly comprehensive datalogging facility is standard on ALTAIR 4XR. This allows the user to keep a record of day-to-day gas values detected at a configurable time interval along with any other events seen. The next generation of stand-alone personal alert safety systems MSA Safety Motion Scout detects the cessation of bodily movement and activates an automatic alarm. For enhanced safety the alarm can be activated manually also. motion SCOUT is extremely simple to use. The sensitive, electronic motion sensor recognizes all normal body movements. Maintenance-free and durable motion SCOUT guarantees a great cost-performance-ratio. Motion SCOUT is not just highly suitable for Fire and Rescue operations, but also urban search and rescue, tunnel surveying and many more industrial applications. In general, it is suitable whenever a person may be entering or working in a potentially dangerous environment. Especially suited in industries where people may be required to work alone. For example, tank cleaning, in high rack warehouses or in silos motionSCOUT provides personal safety without compromise. With two buttons the operation is very simple and intuitive. The large button is to activate the manual alarm and the smaller button to turn the unit on. For additional safety the motionSCOUT can only be turned off when pushing both buttons simultaneously. A bi-colour LED clearly shows the readiness of the unit, green proving the functionality and red for low battery indication. The motionSCOUT design is compact, robust and watertight [IP67] and is built to withstand the toughest applications. The integrated gasket between the upper and lower housing ensures a watertight seal even when the batteries have been changed. With the rugged suspension clip, motionSCOUT can be easily and securely attached to either shoulder strap or hip belt. The superior alarm system consists of a distinctive audible alarm of 95 dB at 3 m and super bright LEDs. In the event of non-motion, the pre-alarm sounds after ~25 seconds with a reduced sound volume. After a further 15 seconds of non-motion, the full-alarm sounds. Motion SCOUT is maintenance-free, only needing to replace the standard and cost effective AA batteries when required. The stand-by time is extremely high being >200 hours, same as the alarm time of 10 hours continuous sound. There are various versions of the motion SCOUT to suit a number of operations. The key version [switch ON by pulling out the key] improves accountability. In the incident centre where all keys are collected at a central location [e.g. using the tally board MSA CONTROL E 10050271]. Thus the incident centre has control over the number of persons in action at all times and can search for possible injured users faster and more effectively. The temperature sensor in the motionSCOUT triggers when the operational temperature range has been exceeded. This provides additional safety for the user. With the manual alarm reset function you can cope with accidental alarm activations. The MSA Altair 2x Multiple Gas Detector is a reliable multi-gas detector that measures O2, H2S, CO and combustible gas. Besides being one of the most compact multi-gas detectors available, it has an extremely durable rubberized housing and is very easy to use. 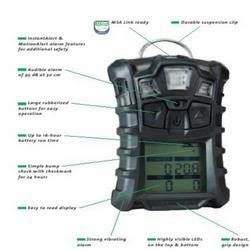 The ALTAIR 2x is available with the option of Motion Alert – a unique feature in the world of portable gas detection. The detector’s alarm is triggered if the user remains motionless, alerting those nearby. The Instant Alert alarm allows the user to manually activate the detector’s alarm system. It is a standard feature across the ALTAIR 2x range.